Dream Trigger 3D is to feature five boss enemies – Rage, Jealousy, Sorrow, Desire and Fear – as detailed today in a press release from Brian Etheridge, Senior Producer for D3Publisher of America. Explaining that the central theme of the Nintendo 3DS title is a continual battle against your greatest nightmares, each boss aims to depict the darkest parts of your mind. Each occupies the farthest reaches of the World Map Mode, where players will have to defeat individual levels – each with their own mini-boss. 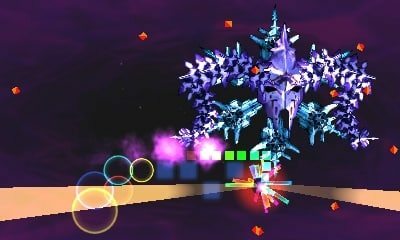 When you come face-to-face with a boss enemy, it also differs from regular gameplay. Not only will you be faced with a single foe, you must use Sonar Pings to reveal its weak spot to then barrage it with firepower – all whilst dodging its incoming attacks. Of course, it’s far more fun to see such things in action and you’ll find a trailer below that you can treat yourself to, as well as a number of screenshots – enjoy!